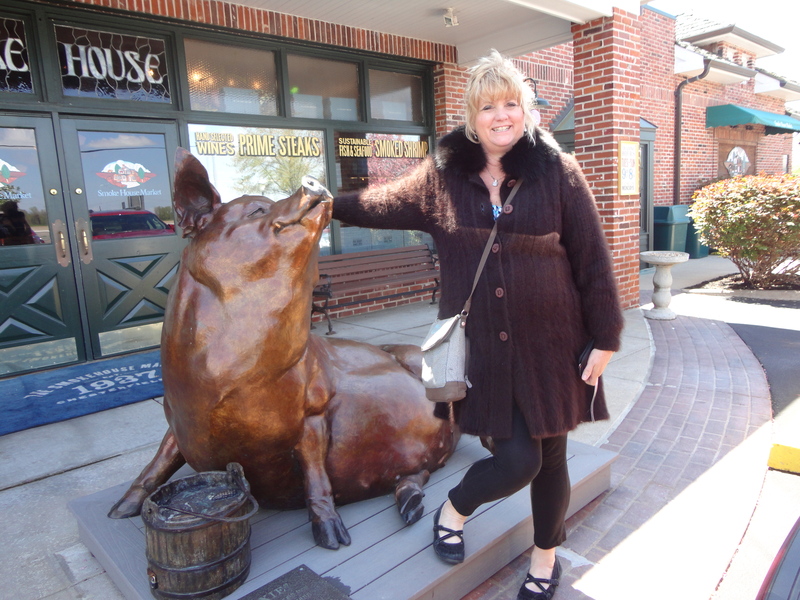 The pig they call “Trixie” is a welcoming site that is located right outside the front of the Smokehouse Market. This great stop offers visitors imported and domestic cheeses, salsas, mustards, olive oils, sauces, vinegars, condiments, pastas, spices, farm fresh produce, and a well provisioned, old fashioned, full service gourmet meat market. The owners Thom and Jane Shenert work with local farmers to add handcrafted artisanal and farmstead cheeses, olive oils and other products as well to their shop. The Smokehouse Market began in the 1937 as the Chesterfield Mercantile Company. The building was wiped out in 1993 when the huge flood that swept through the Mississippi River basin destroyed the former home of both Annie Gunn’s and the Smokehouse Market. Rather than fold and be defeated by the elements, the owner Thom Sehnert rebuilt and opened the current location at 16806 Chesterfield Airport Road, Chesterfield, MO 63005. For a cool stop with a lot of charm and the great Annie Gunn restaurant next door check it out! Open Tuesday – Sunday. Log onto http://www.smokehousemarket.com/ for details. Also check out the St. Louis Convention & Visitors Commission’s www.ExploreStLouis.com website as well!